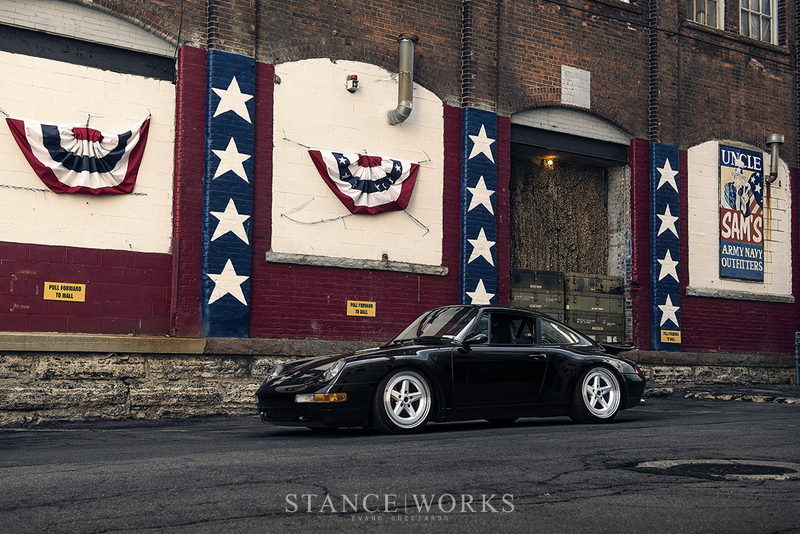 As the last of the air cooled 911s, the 993 chassis holds a special place in a lot of hearts. From an engineering standpoint, it represents the pinnacle of what an air cooled Porsche should be, from the engine to the suspension, and everything that works in between. Aesthetically, it's a bit more divisive - it was Porsche's largest design departure at that point in time, pushing the 911's design language forward into a new generation. Unlike the 964, it's not likely to be mistaken for an older model. 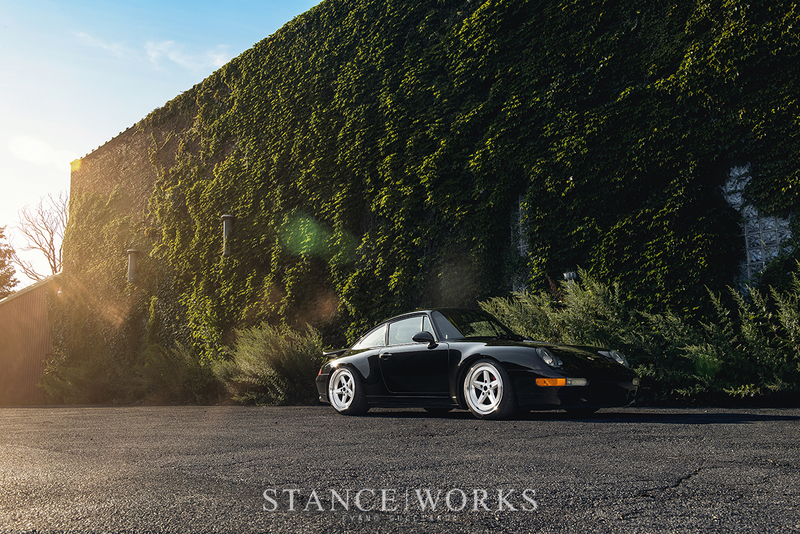 Instead, the 993 stands on its own, and luckily for us, there are folks like Stephano Bueme to help make the 993 stand out even more. From the outside, Stephano has kept things rather modest. An OEM Euro Turbo front bumper and an RS whale tail are all he needs to compliment the car's mix of classic and 90s lines. Inarguably, Porsche did a pretty fine job with the car, and we're in the same camp as Stephano: overfenders and body kits are wholly unnecessary. Things are switched up by the wheel choice, of course. Fifteen52 Outlaw 003s were built for the car, measuring out to 18x9 and 18x11 front and rear. 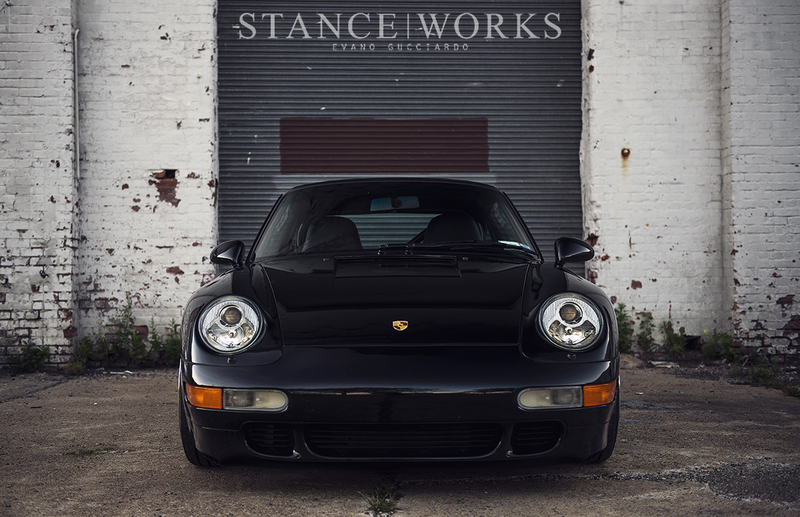 Brushed and cleared faces and polished lips, along with hidden hardware, give the wheels a sleek, solid styling that matches the 993 perfectly. The 917-inspired design of the center also pulls in a bit of Porsche heritage, making them a perfect match for the build itself. Stylistically, Stephano has kept the car balanced between OEM+ and historically inspired, and it shows on the inside of the car too. An OEM black RS carpet covers the floor, and custom Alcantara touches are strewn throughout, such as the center console, e-brake handle, and the Momo Prototipo wheel. Rennline accessories like RS door cards, floor boards, and pedals liven things up, and Recaro Pole Position seats make for a perfect, period seat choice. The list of interior mods continues, including a DAS roll bar, Blaupunkt audio equipment, and OEM RS carbon components here and there. It's underneath the car where things really begin to take off. The factory 3.6-liter lump has been fitted with an RS-inspired carbon intake system, Fabspeed headers, exhaust, and a Promotive ECU tune, giving the aircooled 6 some extra grunt. For the suspension, Stephano went all out. H&R RSS Club Sport coilovers provide the basis for the changes, and Elephant Racing bump steer-correcting tie rods begin the list of additions. Rennline rear toe arms, front drop links, rear drop links, Rothsport steering rack bushings, and a 2-way front strut bar all help stiffen things up and have allowed Stephano to fine-tune his suspension. Rebuilt and powdercoated 993 Turbo Brembos have been fitted as well, providing a good boost in stopping power. 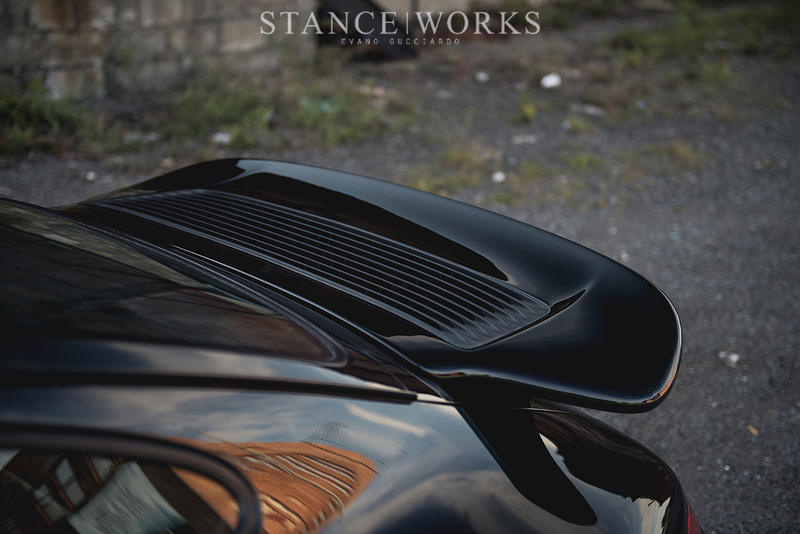 Stephano's 993 is a great selection of parts and pieces, working together to celebrate both the strengths of the 993, and the strengths of its predecessors. It yields a car meant to be driven, but eager to be looked at, as any great car should be. In a sea of 911s, it is yet another we're excited to share.